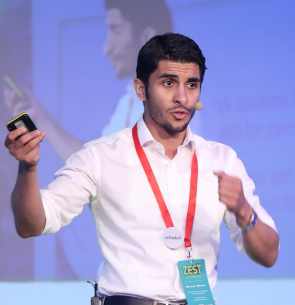 Dr Abdalla Kablan is a serial entrepreneur, and fintech expert. He specialises in the use of artificial intelligence and machine learning in the design of complex financial systems. He is the group CEO at amico.ai and founder of Hippo Data, a Fintech and AI startup which was the first Maltese company to be selected by Microsoft to be a part of Microsoft Ventures, UK. Hippo Data’s VR platform was also featured at the World Economic Forum 2017 in Davos. Furthermore, he is the founder of Scheduit, an intelligent business oriented matchmaking and professional networking platform. Dr Kablan is also an academic at the University of Malta where he lectures and researches topics related to computational intelligence, financial engineering, and financial data science.